Bartram (Bart) Kelley's career was launched in 1941 when he and a friend Arthur Young, signed a contract with Bell Aircraft Corp., to develope a commercially viable two-seat helicopter. Working out of a vacant automobile dealership in suburban in Buffalo, NY, they developed the Model-30 which could fly at speeds upto 70 mph. Their next model, the Bell 47, with its classic plastic bubble canopy, skid landing gear and open tail boom- was the first helicopter to be certified airworthy by the Federal Aviation Administration in March 1946. Born in Rosemount, Pennsylvania, he became chief helicopter engineer at Bell in 1947. In later years, he was instumental in designing and developing the UH1E helicopter, which provided critical air mobility to the US Army and Marines during the Vietnam war. During his tenure at Bell, he supervised the development of the XV-3 convertiplane (the first tiltrotor), the 206 JetRanger, and the XV-15 tiltrotor. By the time of his retirement in 1974, two-thirds of all helicopters produced in the world had been designed by his department. Kelley had a pilot's license and flew every prototype and model produced by the Bell during his years there. He joined AHS in 1945 and served as the Society's President in 1951. 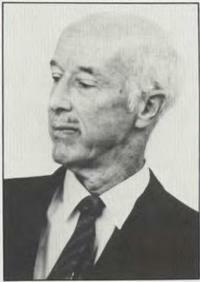 He was elected as AHS Honorary Fellow in 1961, and received the Alexander A. Nikolsky Honorary Lectureship in 1982. 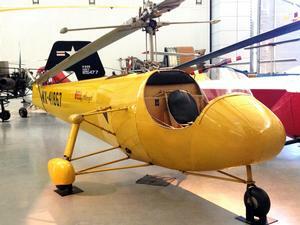 His Nikolsky Honorary lecture was "Helicopter Evolution." He was also a fellow of AIAA, SAE and the Royal Aeronautical Society. In 1994 he received his undergraduate and masters degree in physics from Harvard University. Bartram (Bart) Kelley, a pioneer of the American helicopter industry, died in a Dallas hospital on December 17, 1998 of complications from a stroke suffered last year. He was 89.